Monday montage – my favourite finds! Yuck – Mondays. Whether you’re working or at home, Mondays are a dismal start to the week. To cheer myself up I do a little browsing on a Monday morning and make a little montage of stuff I like to dribble over. This week I took a look at Etsy and here are some of the lovely things I found! 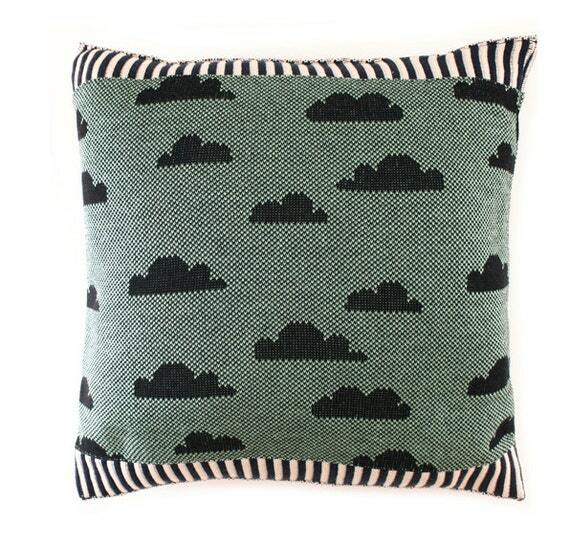 First the Partly Cloudy Pillow from sheilacouture. I love the fact it’s “partly” cloudy, heh. The stripes at either end are a great contrast to the main fabric and the cardigans and other knits in this shop are stunning too. 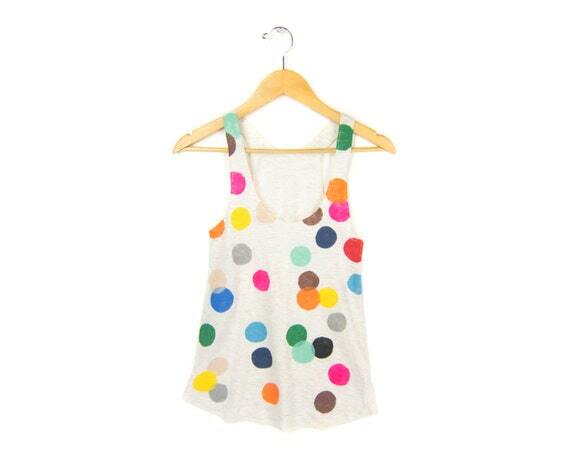 Next, a fun tank top in irresistible polka dots. This would be great layered with jeans and a cardi. The Colourful Confetti racerback tank is made by twostringjane. Next, a bit of jewellery from GraceMieloji. 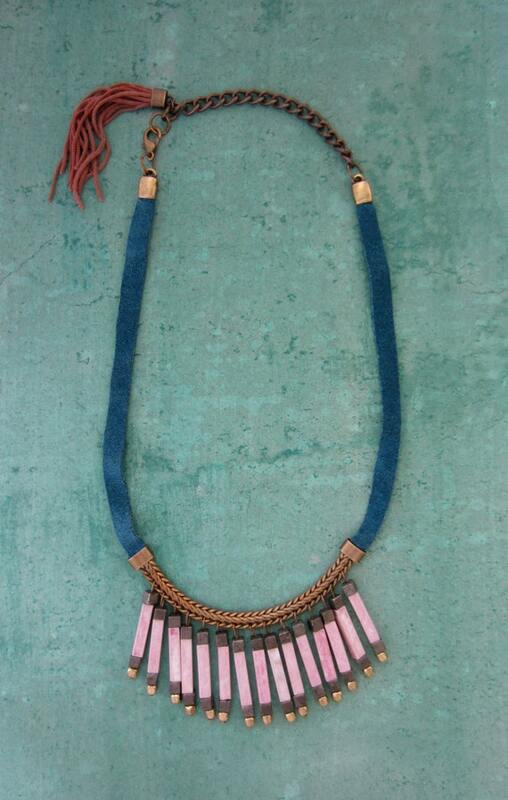 I just think the colours in this piece are gorgeous and I can see it being so versatile. It would really work as a statement piece in a simple outfit or with something more glam. Great name too – the Coming Up Roses necklace. I’ve had my eyes on elehandmade’s shoes for some time now. It’s about time I got myself a pair! The hardest thing is choosing though. I could literally pick any pair from this lady’s shop and be over the moon. Today I’m in a trousers mood, so here are some stunning Fringed Oxfords to salivate over. 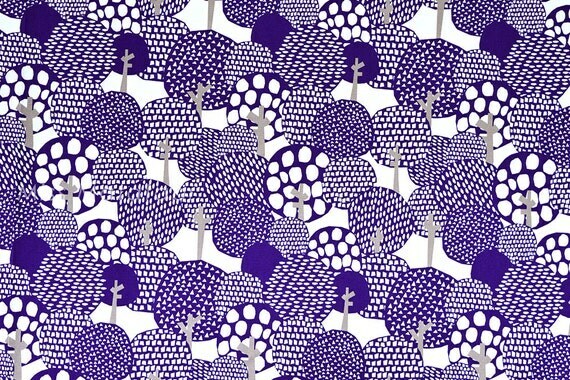 Anddd, Monday wouldn’t be quite right without a bit of fabric-gazing. Today, this blue and metallic cotton caught my eye at MissMatatabi, based in Japan. I ordered some fabric from this lovely lady and it arrived before another package I ordered here in the US, so there’s no problem there! How vibrant is this Mori no Michi material?? Well, those are me five favourite Monday finds. Hope you have a great week!